As published on LinkedIn Influencers on May 8th, 2018. Last November I had the privilege of attending the TED Women Conference in New Orleans, and to say that I came away from that event inspired would be an understatement. Out of all the incredible speakers that I heard over those three days, there was one talk in particular that I could not stop thinking about. The one shared below, which was just released on the TED platform yesterday and has already been viewed nearly 300,000 times. 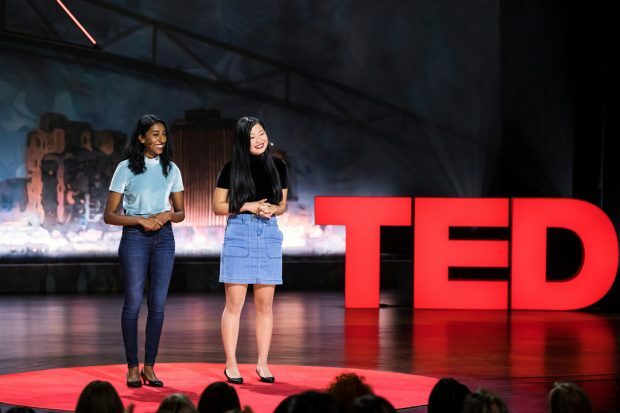 When they gave their talk at TED Women, Priya Vulchi and Winona Guo were in the midst of travelling to all 50 states to talk to people about race, and they were doing this during their gap year between high school and college. Their talk outlined how they were attempting to connect both the hundreds of personal stories they were hearing on their trip, as well as their own personal experiences on a cross-country road trip as two women of color, to the wealth of facts and statistics that have been gathered by researchers over the decades about racial inequality and the negative impact of systemic racism in America. In their talk they share their framework by identifying two big gaps in people’s racial literacy: the heart gap, a lack of understanding of our own personal experiences with regards to race, and the mind gap, a lack of understanding about the systemic epidemic of racism in this country. When I heard them speak, I realized I possessed both of these gaps, and it is likely you may have them as well. Taking a step back, in 2016, Priya and Winona published The Classroom Index, a racial literacy textbook for educators to help them teach students on this often difficult and uncomfortable topic. They did this while sophomores in high school in New Jersey. Yes, you read that right, sophomores in HIGH SCHOOL. The success of, and interest in this book led them to embark on their journey across America to have these conversations with average, everyday people in all 50 states in order to truly understand the current state of racial literacy in this country. Their findings are set to be published in their forthcoming book, Race Across 50 States. At the time they spoke at TED Women in November, they still had 23 states to go. When I heard that Utah was one of the states they had not yet interviewed in, I immediately invited them to come visit, which they did in February of this year. They set up multiple independent interviews, my daughter Allie hosted them at her high school, and I hosted a home based event with students, educators, and others. What they did more than anything else in each setting was listen; they really listened to each person’s experiences around race. It sounds simple, but it’s rarely simple in execution. As they said in their talk, “Today, so few of us understand each other”, and this lack of understanding is the root of so many social problems across all communities. That is why they set out to change the status quo by founding Choose in 2014 to try and raise the bar in racial literacy, which in turn led to their publication of The Classroom Index just two years later. I think it bears repeating that they did all of this while still students in high school. These two truly are Wonder Women. Yesterday, their TED Talk was released on TED.com, and I encourage everyone to take the time to not only watch this brilliant and important talk, but to share it broadly. Whether at school, at home, in our places of worship, or in our community based organizations, these are conversations we need to be having. I hope their talk inspires everyone to take a closer look at their own experiences around race, ask and listen to others, and try to understand the many ways race and racial inequality impact our society. Priya and Winona are two of the most intelligent, compassionate, and articulate young women I have ever met, and I believe wholeheartedly that their work is going to help change the racial conversation in this country for the better. Since TED Women, Priya and Winona have finished their tour of all 50 states, collecting over 500 interviews along the way, and they are hard at work finishing the content for their new book. As if you needed any more proof of their awesomeness, they are also currently in New York City as part of the TED Residency program, where they are the youngest TED residents in history. Despite all this, something tells me that Priya and Winona are just getting started, and I can’t wait to see where their journeys lead them next. If you would like to learn more about Choose, you can find more information HERE. You can also follow the conversation online at @princetonchoose on Twitter. Finally, their TED Talk can be found HERE, and I hope you will all watch and share it with your networks. Their TED Talk is below, as well as an informal interview I conducted with Priya and Winona during their visit to Utah. Previous Post What is the Opposite of Hate? Next Post What Are Your Top Five?